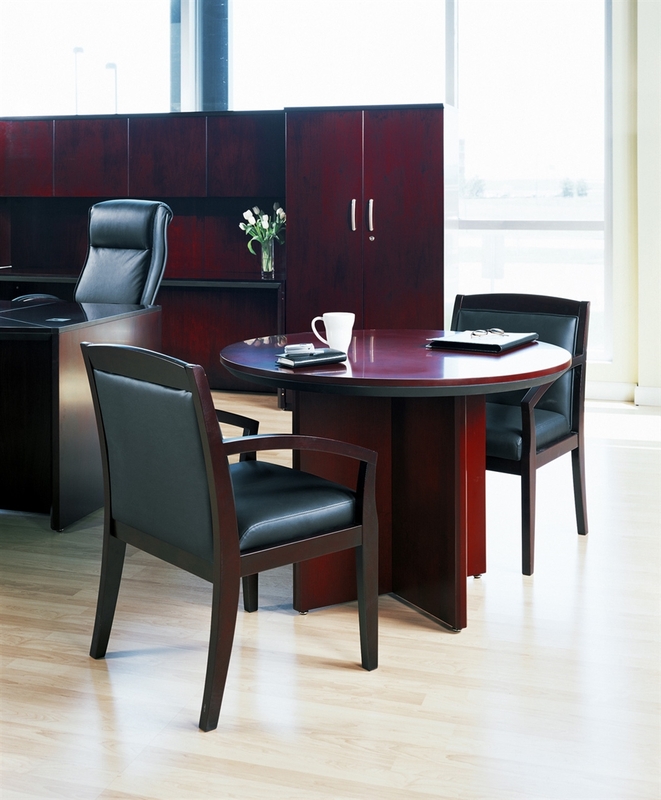 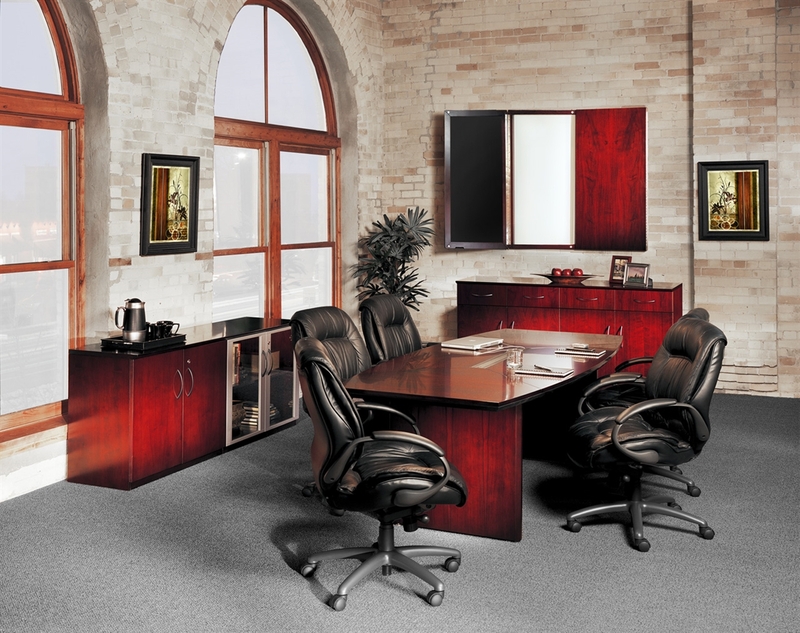 Mayline Corsica wood veneer conference room tables in Mahogany and sierra cherry. Featuring elegant lines with excellent durability, Corsica conference tables have 2" thick beveled edges for a substantial presence and comfortable feel. 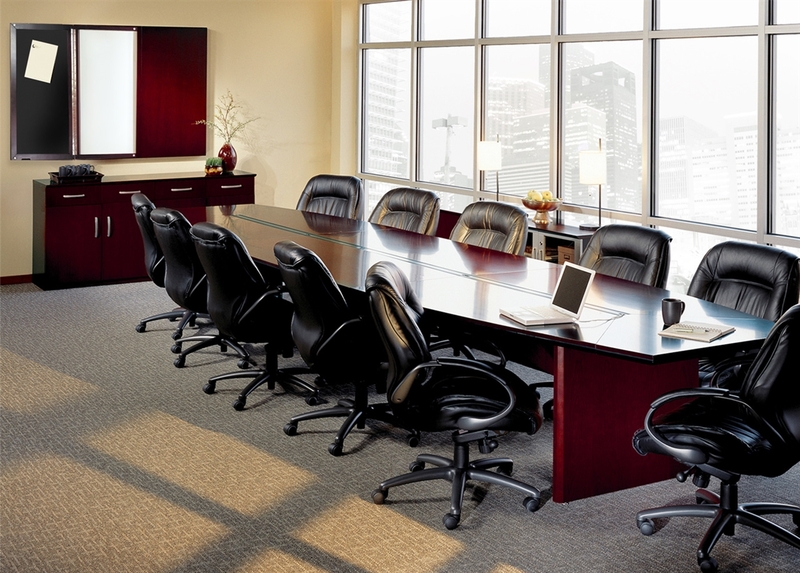 Tables larger than 96"L have multi-piece top surfaces connected via steel cam fasteners and steel connecting plates.